Hi people, i was wondering if anyone has similar experience on the golf 7 deep black pearl paint as me. it seems to marr so easily.. i've seen a couple of black golfs on parking lots with the same marring. My wash routine: (car is coated in cquk 2.0, 3 months ago). So anyone else experiencing this ? I have a MK6 in the same color. It is easy to marr, yet the paint is very hard and takes work to correct. The best of both worlds! I bucket wash as well (no foam pre-soak), and once I switched to a coating the wash-induced marring all but stopped. Grime comes off so easily I really don't have to put any real pressure on the wash mit. Could those marks have been there before the coating was applied? I did polish the car with a green hexlogic and carpro essence prior to coating. so there was no imperfections except for some deeper scratches. I do believe i did wash the car the first time after coating with a burned microfiber mitt (i washed the gyeon smoothie on 50C it looked horrible). and i did see some marring after that wash. there was no drying involved. but i can't tell if it has gotten worse since my new mitt. I've decided to do some tests on my freshly polished test panel. I got 3 different mitts and soaked them with water (no soap) and did 10 strokes on each section on the panel to see what would give the most marring. Could anyone explain why there is so much marring especially with that incredimitt? I'm pretty sure the marring on my car comes from the mitt. i mean the mitts look fine right? Sorry to bring this thread back up but did you happen to still have that video? I feel my incredimitt is also marring my finish. 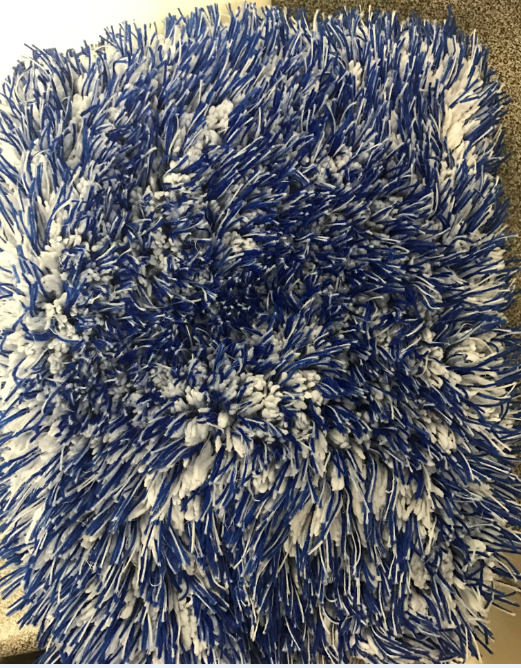 I never had any issues with my paint being scratched during the wash process when using a microfiber chenille wash mitt. I am now pretty certain especially with your findings that it is the incredimitt causing damage to my paint(it is coated with CSL). Do you use the incredi mitt as a mitt or as a pad? If used as a pad could it be that the hand cuff or how you describe it can be what is leaving the wash marring. I have the pad version and have not seen any noticeble marring. But will takeing the light to it next time I wash with it. The incredi mitt and wash pads and think most of their mf wash media use a different kind of material than the common mf build up. So can be it's more prone to leave marring behind. I feel also like it's important to see so you don't get the mitts or pads where they are stiched together on the side and the top of them. But will testing mine out and see if I find anything. And it's a Kia cee'd with softer paint. That's what I was thinking too? Of course it's going to marr with no soap. That has all the lubrication. I don’t think we are necessarily discussing if its going to marr with no soap. More so, the incredimitt scratched the paint the most in the test. I’m going to be doing a light polish on my vehicle and recoating with CSL. I will test a chenille mitt on a door and my incredimitt to compare. Mike Phillips himself stated that the wash mitts he uses are the chenille ones as they tend to be the safest when compared to a tightly woven microfibre mitt. I use the mitt as a mitt, not a pad and the cuff isn’t touching the panel. Again have never had issues with my chenille after I coated my vehicle. Paint was always flawless after each wash. Only noticed it after some washes with the incredimitt. Again will confirm later this fall as it would be a controlled test. Any updates Tony? Just wanted to know if you had a chance to take an inspection light to see if any marring was caused. For myself, I can only see the wash marring in specific lighting. It's actually quite hard to tell if there is direct sunlight on the panel I'm inspecting. Typically need somewhat bright diffuse lighting. My new Deep Black Pearl VW GTI... Need ADVICE!!! By jorgeecolina in forum Ask Mike Phillips your detailing questions!